My daughter loves to have plain milk to drink with her meals. This has become a big challenge with packed school lunches. I thought that shelf safe milk would be the answer to my dilemma, but alas my daughter thinks it tastes funny! 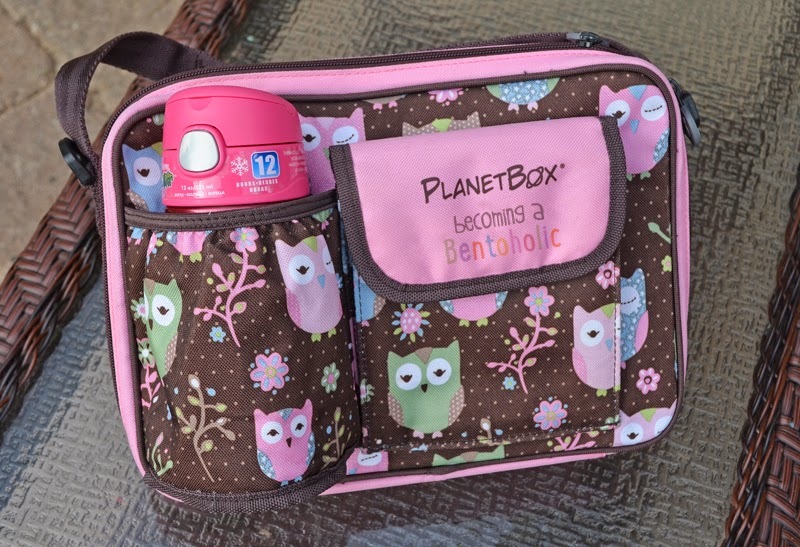 I had been packing her milk in a regular drink bottle and placing it under the ice pack inside her insulated lunch bag but it continued to come home half full. When I asked her about this she said it was not ice cold and so she only drank a little bit. Enter the Thermos FUNtainer drink bottle. I wanted to try these for the insulated feature and yes, I was definitely going to use them for milk. It states on the label that they keep drinks cold for 12 hours. All I need is 4 hours until lunch time. The day after the UPS man delivered these I put them to use. They work best if the bottle is pre-chillled. I filled it up with ice water and let it sit. She ended up drinking the ice water and then I filled the FUNtainer bottle with milk, packed it in her lunch bag, and off to school she went. The report I received after school was that the milk was indeed still cold at lunch time. I checked the bottle and yes, the majority of the milk had been consumed. A few days later I decided I should try myself and took some milk in her FUNtainer to work with me. The result - cold milk at precisely lunch time. Awesome!!! If you planned ahead a little, you could freeze the drink (milk or juice) in ice trays to help keep the drink colder longer. Another suggestion I received on Instagram was to use reusable ice cubes. 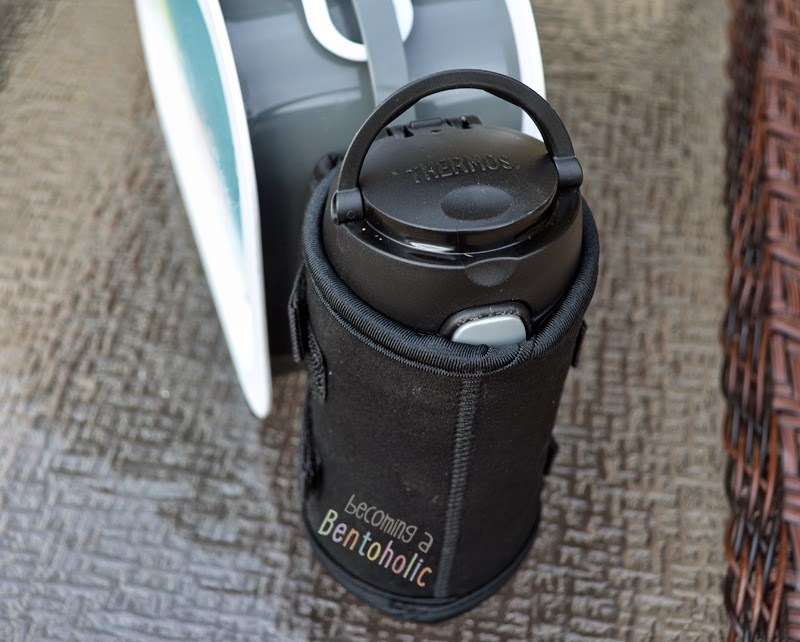 Please note that the Thermos FUNtainer bottles are only to be used with cold drinks. We did not encounter any leaks during our trial period. However, with time I imagine that the seal around the straw could wear out and warrant replacement and if not replaced could cause some leaking. 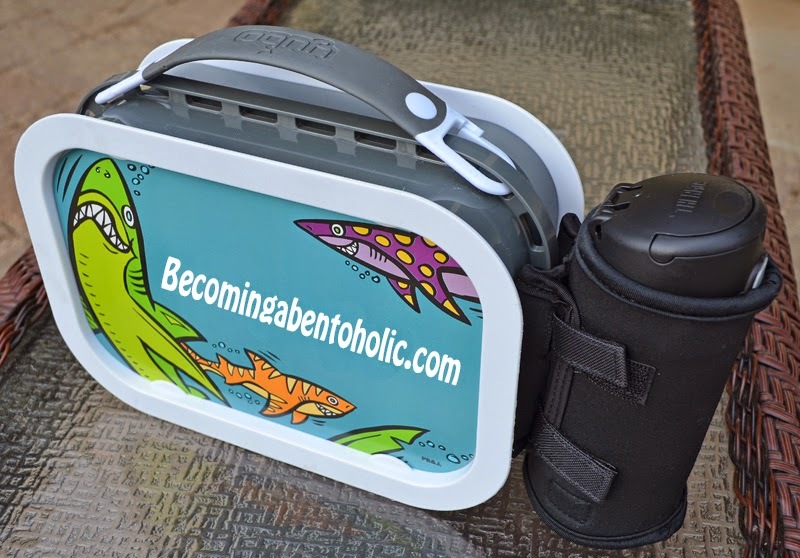 The Thermos FUNtainer works great with lunch box systems (like PlanetBox and yubo) that hold the drink outside of the lunch box. My daughter had a solution for this - use the pop-up handle to pull the FUNtainer drink bottle out of the holder. Why is she so smart?! It is difficult for smaller children to get the bottle back into the holder and they will need help with this after lunch time. Both of my kids have lunch helpers and this is not a problem for us. 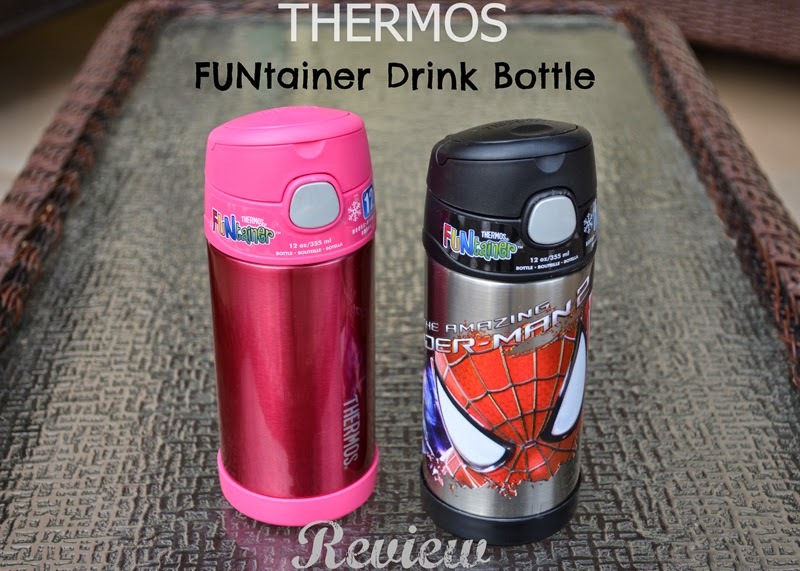 Special thanks to Thermos for sending us the FUNtainer drink bottles to review! *Disclosure - I received free product in exchange for this review, no further compensation was received and the opinions expressed are my own.